awesome find!!! 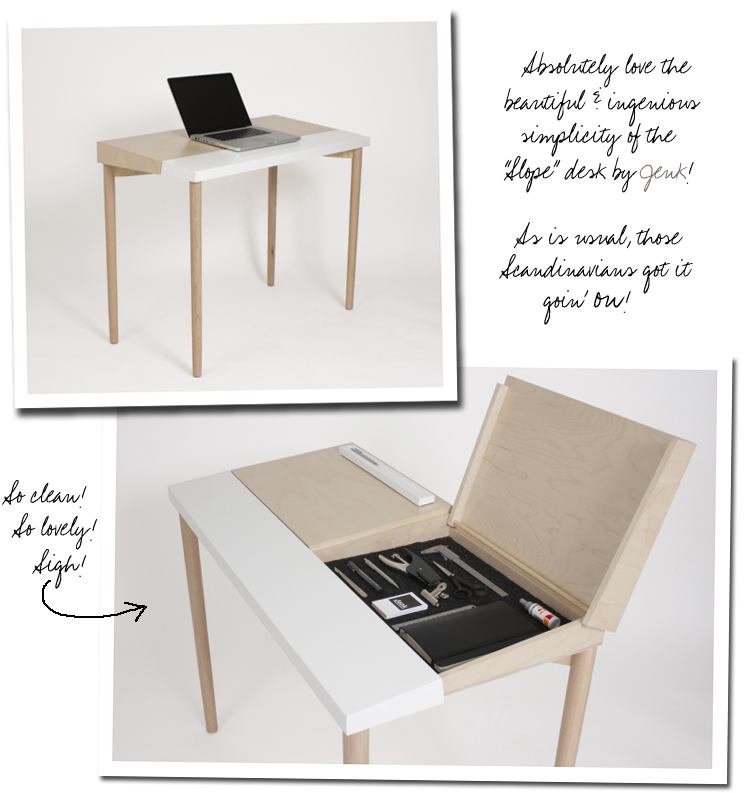 If I hadn't just purchase a new desk from Ikea a few months ago, I'd be buying this! This is truly so gorgeous!! I want it for the imaginary studio I am planning. Bein a wee bit nordic mi self I LOVE this desk!! Totes in the plan for the new home office. Courtney... I don't have any idea how much it is and would be afraid to ask right now. But, something to covet for sure! Chelsea... Isn't it just unbelievably unassuming?! It will be something of my dreams as well, I'm afraid. But, dreaming is still fun, huh? islandclb... I'm not nordic by genealogy but I must have some in my heart somewhere! Seem consistently smitten by all things Scandinavian. This, obviously, is no exception! Thanks for taking the time to leave a comment, Kids! I. love. this. desk. So efficient, AND lovely on the eyes. Hope all is well with you!! !